إن فندق Seasons Harbour Plaza Sydney Apartments بموقعه الممتاز في هذه المنطقة السياحية هو نقطة انطلاق جيدة لنزهاتك في هذه المدينة المذهلة. يمكن من هنا للضيوف الاستمتاع بسهولة الوصول إلى كل ما تقدمه هذه المدينة النابضة بالحياة. سوف يعشق النزلاء موقع هذا الفندق، فهو قريب من أهم المعالم السياحية في المدينة . 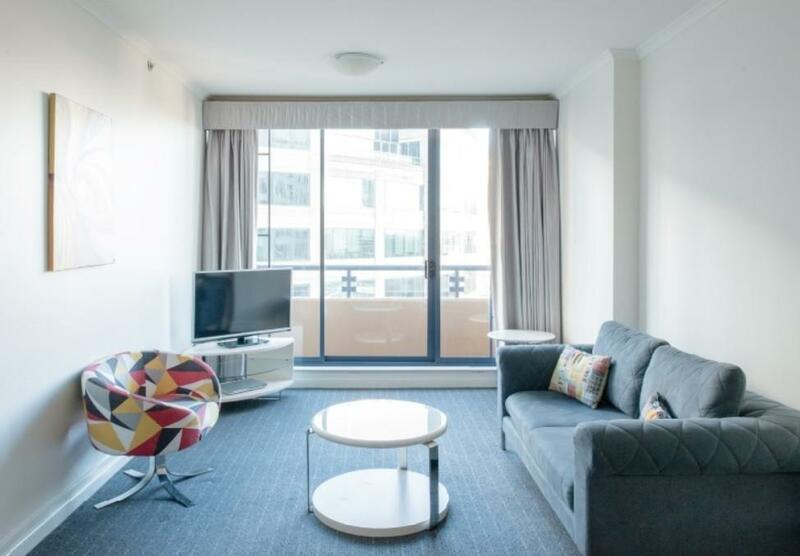 يعمل Seasons Harbour Plaza Sydney Apartments على ضمان إقامة مريحة لضيوفه من خلال خدماته الممتازة وحسن ضيافته. يقدم الفندق مكتب الاستقبال على مدار الساعة, مرافق مخصصة لذوي الاحتياجات الخاصة, تخزين الأمتعة, صف السيارات, التوصيل من وإلى المطار لضمان الراحة القصوى لضيوفه. تتضمن كل غرف النزلاء وسائل الراحة والتسلية المصممة خصيصاً لضمان الراحة القصوى للضيوف. يقدم الفندق العديد من الفرص للاستجمام كمثل مركز للياقة البدنية, ساونا, حمام سباحة داخلي. يشكل Seasons Harbour Plaza Sydney Apartments بخدماته الراقية وموقعه الممتاز، قاعدة مثالية للاستمتاع بإقامتك في المدينة. يرجى ملاحظة أن طلبات مثل إطلالات معينة ونوع معين من الأسرّة هي طلبات غير مضمونة. يرجى العلم أن الشقة يتم تنظيفها من يوم الاثنين إلى السبت فقط. وحسب الطلب فقط أيام الأحد والعطلات الرسمية. يُرجى العلم أنه ينبغي على النزلاء تقديم بطاقة ائتمان وتصريح مسبق بقيمة 100 AUD وبطاقة هوية بها صورة عند الوصول. يرجى ملاحظة أنه يجب تقديم بطاقة هوية وبطاقة ائتمانية سارية عند تسجيل الوصول. سوف تنطبق التصريحات المسبقة العادية لاستخدام بطاقة الائتمان. يجب أن يتطابق اسم حامل البطاقة مع الاسم المذكور عند الحجز. الودائع النقدية غير مقبولة. يوجد رسم إضافي على جميع معاملات البطاقة الائتمانية غير مسترد بنسبة 1.3٪. سيتم احتساب جميع معاملات بطاقات الائتمان بالدولار الأسترالي. يرجى من النزلاء إبلاغ العقار مسبقًا قبل الوصول إذا رغبوا في تحصيل رسوم بالعملة الأجنبية للإقامة والمصروفات العرضية. شقة 2 Bedroom Executive Apartment مكونة من شقتين 1 Bedroom Apartments متصلتين، كل منها لها مدخل مخصوص من الخارج وباب داخلي يصل بينهما. ثمة عمليات بناء تجري بالقرب من العقار. يرجى العلم أن هناك بعض المناطق ستتأثر بالضوضاء ليلًا ونهارًا. لطرح أي استفسارات أخرى، يُرجى الاتصال بالعقار مباشرةً. 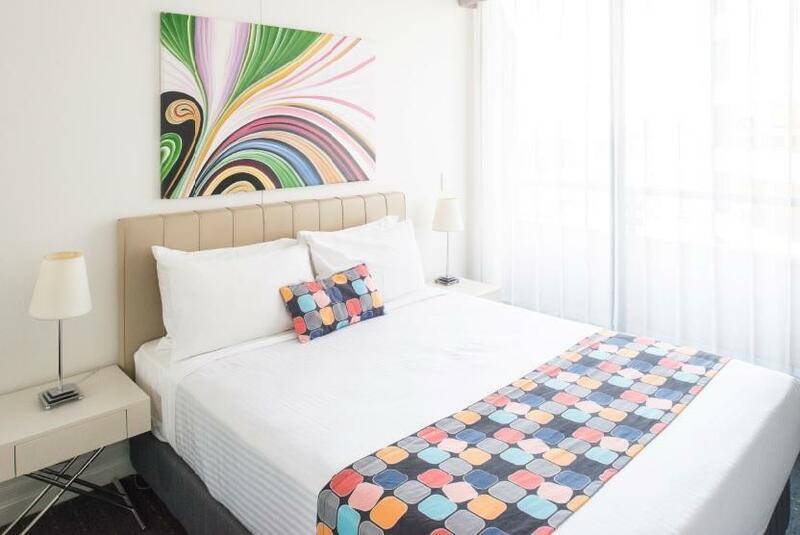 Perfect location just less than 10 mins walk to Darling Harbour and QVB, there is supermarket and numerous nice restaurants nearby. We stayed at penthouse with huge spaces and comfortable beds,staff are very nice. The room and facility a bit old, a light at dining room was out and not fixed during our stay, tiny old swimming pool, minimal consumables provided in room. Great Location. Spacious, Clean and comfortable rooms. Staffs are very friendly. The location is great, Staff quite friendly, I stayed in Executive room quite spacious and good view , Amenities were okay. You can walk to The shopping streets which are just 5/10 mins walk . China town is awesome for food and just 15 mins walk. The nearest train stop is "Town hall" again just 8 min walk. 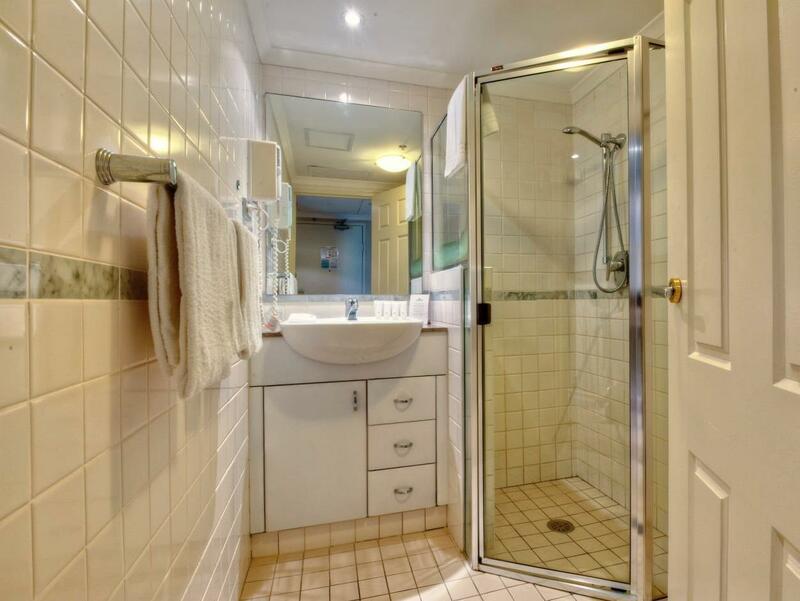 Room is dated and the whole property is in dire need of renovation. We stayed here twice in a week and had problems with both our rooms. The first room 1308 has poor ventilation system. The aircon control panel was not working well (buttons very all broken and hard to use) and the bed room was stuffy to the point that we cannot sleepy without opening the windows. However when we opened the windows the sounds of the city kept us from having a good rest. Our second room has a problem with the door lock and it was not functioning properly. Luckily we had very good service from the staff that took good care of us during our stay. You get what you pay for. Room was dirty, took over 5-6 minutes to get running warm water in the shower not even hot, exhaust fan did not work, paid for a balcony which was small and not even a balcony, air con not working properly, and overall just an old dirty hotel that requires some work to keep up with others around it. Was a last minute choice to say there, and will never again. Value for price, easy access & exit component staff and room clean and tidy. Not that far from Queen Victoria Building, that can take train&bus over there. Near to supermarkets and many shopping malls. 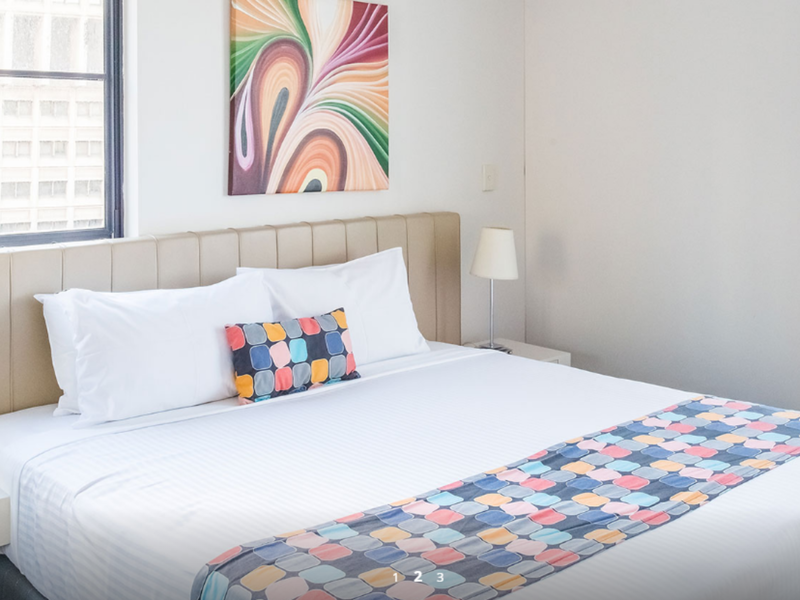 Great place to stay, nice and clean, 4 minute walk to darling harbour, would def stay again. 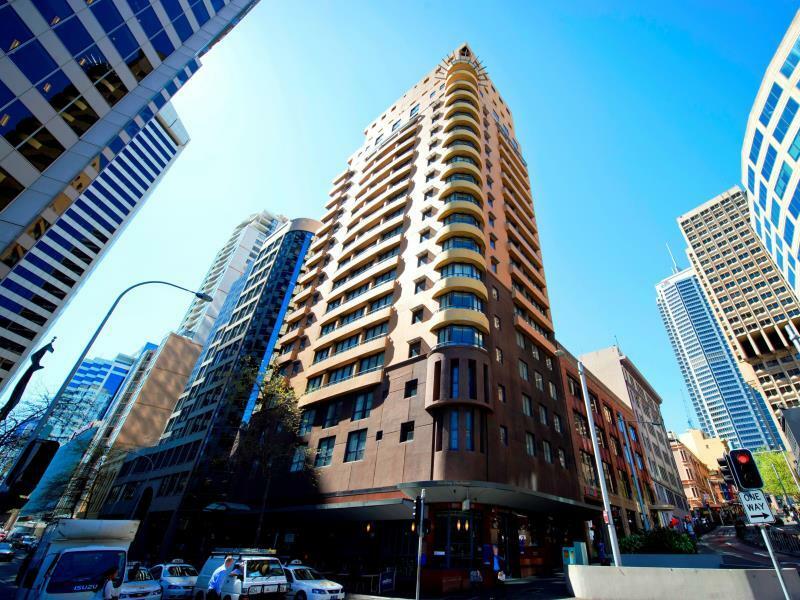 Hotel is great value and is in a top location with a very, very short walk to Darling harbour! We were on level 4 & had a.. great.. view of the construction site next door, i was worried about the noise with a 6month old baby but there wasn’t much at all which was great! The only thing i could pick on was dishes were left unwashed when room was cleaned which meant i had to wash them myself which isnt what i want to be doing on holiday, but if thats all i have to complain about, i think the hotel is pretty great! Also shower pressure was great! I will definitely stay here next time were in sydney! The photos on the website fail to show what this hotel really looks like. The facilities are very tired and dated. The bathroom did not feel clean, there was mold embedded into what looked like glue from the removal of a previous shower screen on the floor. The toilet seat was worn and needed replacement and there was a foul smell coming from the laundry. The bed base had rips in it, and the whole room felt generally unclean. I was on the third floor, the noise from the street was horrendous. The staff were friendly, but this was a very substandard hotel and I would never stay there again. I had a booking for two nights, it was so bad that I forfeited my second night and booked accommodation elsewhere. I did let them know at the front desk, the staff were friendly but were not concerned that I was checking out early, and there was no follow up from management, perhaps they routinely expect customers to be unhappy. The apartment's location is excellent. There was construction work going on which was mentioned on the website. The cleanliness is below par. The cleaner said she finished work at 11.30 am and left. There were cockroaches in the kitchen and bed buds on the sofa. Staff were amazing, to put it simple the place needs an upgrade. Was not value for money in the current state. t was also quite noisy with traffic, people and building works. Better insulation would be a great addition. This apartment hotel suited its purpose well. 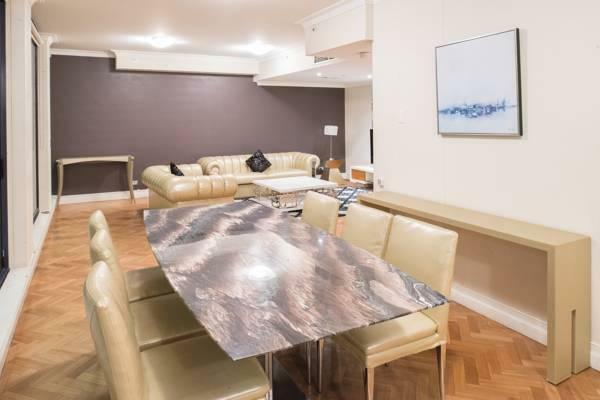 It was very affordable and in walking distance to Darling harbour restaurants and the CBD. Despite a couple of issues (such as a broken towel rail and loose casing of spa bath) we'd stay here again. We asked for a balcony if possible and when we arrived early the staff said one was available and we had it but when we arrived back after 14:00 they said we it wasn't. After a bit of resistance they changed our room and we had a lovely balcony. The bed was very comfortable and the size of the room was fine.